The early freeze is breaking green leaves off my ginkgo so the color may not be as good as normal. 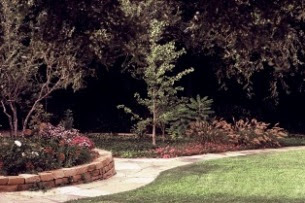 Here is a review of the history of my tree. One of the oldest trees on earth has taught me a lot about the power of the organic program. 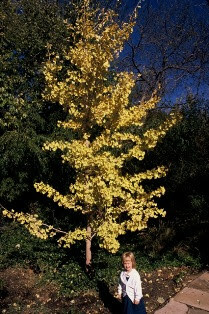 Ginkgo has the reputation and history of growing only about 2” a year. Mine grows about 10 times that fast. 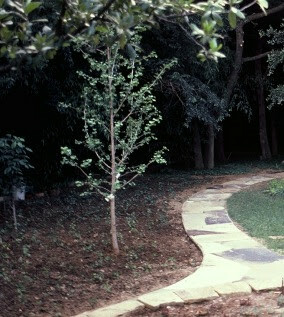 Ginkgo is somewhat stiff but an upright growing shade tree that you will know at first glance is a very special plant. 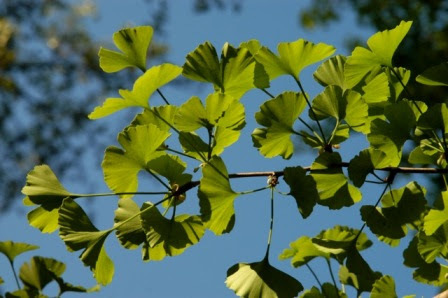 It has light colored, smooth bark, and unusual leaves that look like little green fans. 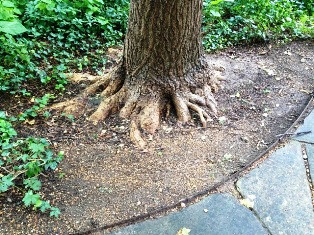 It’s notorious slow growth, especially here in the alkaline soils, but that isn’t such a great problem in an organic program. 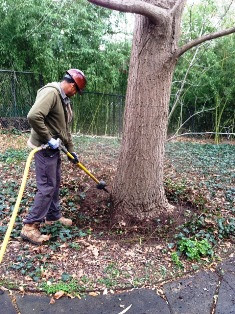 Ginkgo is great to look at and is also a good climbing tree and good for the vegetable garden because it offers light shade for the ground plants. 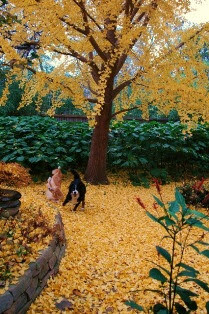 The yellow fall color is usually spectacular. Read more about it in my book – Herbs for Texas and in the library of my website DirtDoctor.com. Two root flare shots showing what I thought was an exposed flare and after the flare had been exposed properly.